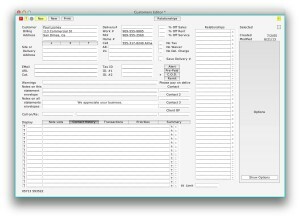 New customer records can be created and edited from the Orders Editor directly. Use this Editor to add credit limits (with Administrative privileges). 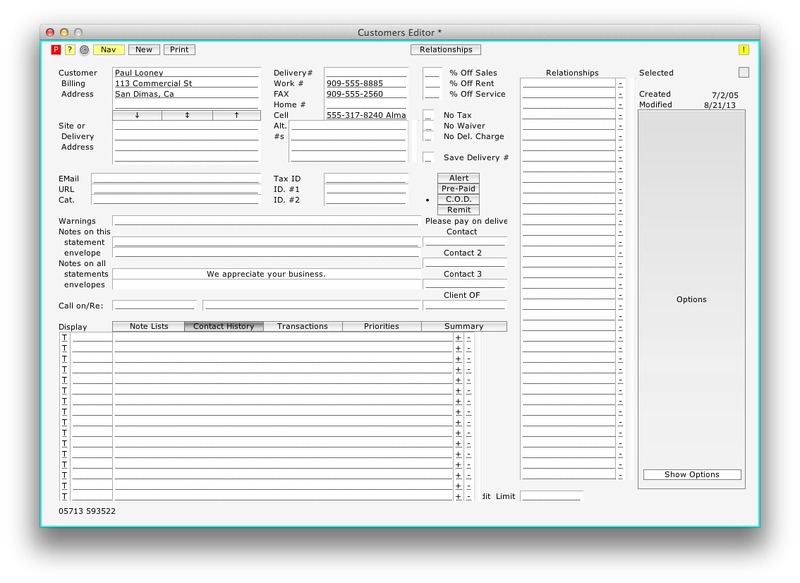 Follow customer contact history, prioritize phone call topics, store private notes. Apply CRM (Contact Relationship Management). Create standard information, such as discounts, directions, delivery phone numbers, to be transferred to new orders for this customer.